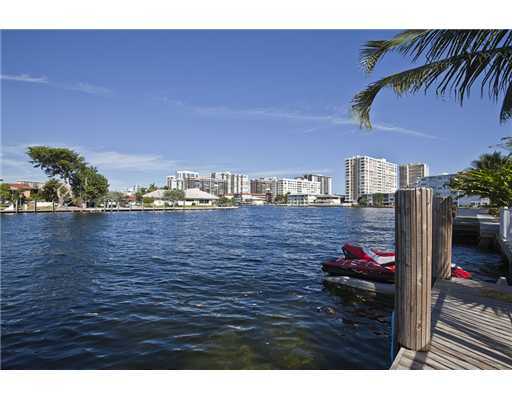 Hallandale, Florida Real Estate | Susan J Penn l Best Agent l Buy & Sell South Florida Homes! Enjoying the city of Hallandale Florida with beautiful sun-drenched beaches and crystalline waters of the Atlantic Ocean, superb entertainment facilities such as Gulfstream Park and Mardi Gras Casino, exciting nightlife that make Hallandale Beach a typical part of the best that Florida has to offer, with luxury beachside condominium living and estate residential properties, Hallandale is a great place to live! Hallandale Beach is conveniently located between Fort Lauderdale and Miami, with Hollywood to the north, five minutes from Aventura and close to Golden Beach and Sunny Isles Beach toward the south with access to the Fort Lauderdale/Hollywood and Miami International airports, Port Everglades for exotic cruise vacations, Port of Miami for cruising fun and I-95. Hallandale, Florida is one of the biggest business communities in the state of Florida, having a large designated "Financial District", Hallendale is called by many as the “Wall Street of the South.” Many firms in the financial sector have set up shops here and they love the lifestyle and share this with ambitious clients. Hallandale's most popular dwellings are high rise condominiums which overlook the beaches and provide a amazing environment after a long day at the office. 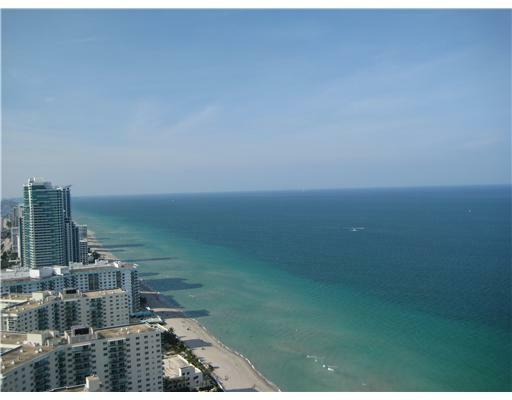 Regardless of your business type, Hallandale Beach is truly a choice location for commerce. After all, the city is home to a thriving financial district, a variety of retail and professional office space, an expanding medical community, and of course, the dynamic Diplomat Golf Course, Gulf Stream Park Race Track and Hollywood Dog Track. Enjoy The Village at Gulfstream Park with restaurants for your dining pleasure such as; Brio Tuscan Grill with Italian delicacies,Texas de Brazil, a Brazilian Steakhouse at 800 Silks Run Suite 130 for those who enjoy beef, pork or lamb, The Playwright filled with the tradidtional Irish Pub fare and a more casual atmosphere at American Pie Brick Oven Pizza where the pizzas are cooked in a wood-fire oven. Another Hallandale favorite is Greyhound Dog Racing at Mardi Gras Casino, 831 N. Federal Highway, Hallandale Beach. Mardi Gras Casino features live greyhound racing from December through May. This newly-explanded casino also has slot machines, the Big Easy Poker Room, live shows, comedians and several bars and restaurants. The French Quarter Restaurant & Bar located at Hallandale Beach's Mardi Gras Racetrack and Gaming offers fine French cuisine to break the monotony of the slots and the poker games for the casino's well-moneyed patrons, such as the 8-ounce filet mignon, Spanish paella and prime rib au jus. Fashion Row Art District is situated along Northeast First and Second Avenues, north of East Hallandale Beach Boulevard. Discover a place to shop for clothing, fine jewerly, sunglasses, dresses, tops, and shoes at one of the boutiques. There are art galleries, restaurants, cafes, furniture shops, lighting shops and office spaces. Upon entering, you are welcomed into a world filled with warm spaces decorated with eclectic artifacts and vintage pieces, creating a soothing backdrop for the quintessential shopping experience. 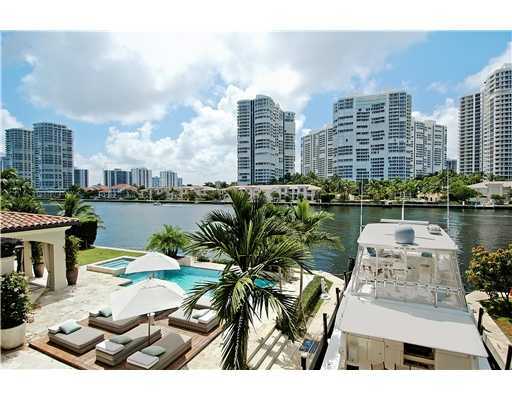 Though Hallandale Beach has plenty of tennis and water sports, golf is the most enjoyable outdoor activity offered. The Diplomat country Club and Spa boasts of luxurious accommodation to European resort standards; this mixes well with the championship course and courts for ball games. 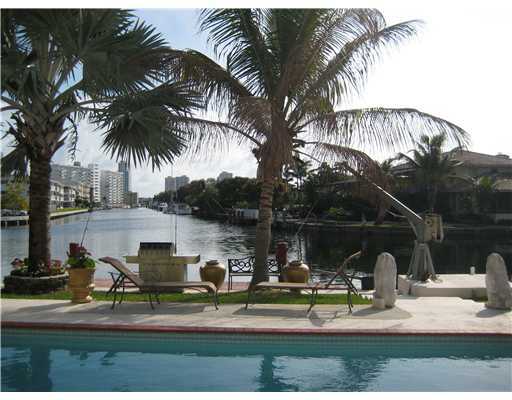 Hallandale Beach's greatest asset is Golden Isles distinctive waterfront Million Dollar homes. Terrific Hallandale Beach Luxury Homes are inside Golden Isles, right off of Hallandale Beach Boulevard. Pass the guard gate and enter these residential properties. Most of these million dollar estate homes are on a canal which leads into the intracostal waters and gives boaters direct ocean access. Golden Isles - Within the exclusive private waterfront 24-hour guard gated community of Hallandale, Florida discover Golden Isles Real Estate with approximately 304 fabulous luxury single family residential properties, most on deep salt water canals and no fixed bridges with boating access leading to the pristine waters of Biscayne Bay connecting Baker's Haulover Inlet into South Florida's Atlantic Ocean in about 15 minutes. Golden Isles luxury homes are located off of Hallandale Boulevard and two minutes south to Layne Boulevard from Ocean Boulevard. Feel the ocean breezes, as the entrance of this wonderful community is within minutes to the Atlantic Ocean and Hallandale's georgous beaches . In the neighborhood, enjoy Golden Isles Tennis Complex with 10 tennis courts, 6 lighted, restrooms and lockers. Golden Isles Park is an added addition with picnic tables, basketball court and pavilion, playground with slides, picnic tables and a walking trail.